PMD provides data services and technical solutions designed to enhance and improve organizational performance. By leveraging and applying both existing and new technologies, PMD helps clients gain competitive advantages through value driven solutions. 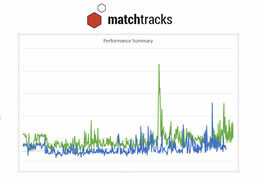 PMD’s Match Tracks software provides an innovative platform for customers engaged in the production, transport, transfer, and consumption of raw materials. Built with industry knowledge from the ground up to solve unique industry needs, PMD provides value to a diverse group of clients and industry participants. To explore the value PMD can bring to your organization through our expertise, the application of existing technologies, or the development of new solutions, contact our team today!